The Second Law of Thermodynamics, also known as “entropy” states a pretty complex series of explanations that ultimately relay the following information: things become more disordered as time increases. Since we’ve only seen time progress in one direction (if anyone has gone back in time, please come get me: I am at 17:46, 09 April 2018, Williamsburg, Virginia, Earth, Western Spiral Arm of the Milky Way Galaxy). Wha? I thought this was an article in Carie Harling’s magazine about planning. What’s going on here? What’s going on a series on why you and everyone else in your global circle of planning people are finding it so difficult to maintain a grasp on order while simultaneously existing in our chaotic world. Here’s the bottom line: the more we get on with things, the more things will fall out of line and the more we will have to get them back into line. This is the reason we get older and not younger, as time progresses. This is the same reason an ice cube melts when left at room temperature, and same reason for life, the universe and everything, including 42 (Douglas Adams fans rejoice). We exist in a world that is crumbling all around us and all we want to do is put some damned stickers on paper. Listen here, superhero, by creating order from perpetual disorder you are actually slowing the ultimate demise of the world. The beautiful act of creating, building, writing, developing, managing and curating your life on paper is, in effect, making order from chaos. You law-breaker, you. You little rebel. Gravity is a law and I see you obeying that law with no problems. See a little pocket of nonsense in your life and sure enough, there you are, planner in hand, writing things down, ordering them around, making other people complete tasks for you, encouraging friends to “come over Friday night” knowing you and your thermodynamic witchcraft will be writing this down on paper for Thermodynamic’s police to wonder if they should write you up a summons for your complete disregard of the law! I may be taking poetic license with the second law of thermodynamics but what’s the worst that can happen? Things will stop falling apart as a result of my article? Hot damn and Hallelujah-the pen is, indeed, mightier than the sword. Ultimately, we have reason to find ourselves shaking our heads and planners, wondering why our lives can be so difficult to unravel on paper. There are all sorts of cosmic laws that we don’t take into consideration on daily basis. The mere concept of which can be enough to stop us focusing on our lives and lead us to explore the higher vibrational forces affecting us and our productivity on a quantum level. No, I don’t have a degree in Quantum Physics. Yes, if I could wear a lab coat at Plannerology and get away with it, I would. I do, however, understand the strain of having to write things down in a moment when everything is crumbling around me and despite every good intention of wanting to preserve these disastrous moments for posterity I find myself grimacing at the entropy around me. So, dear reader, I am here to tell you it’s going to be ok. It’s all going to crumble in the end. And as such, I offer up one final thought up to anyone needing guidance on why bother planning if it’s all going to crumble anyway? If we are on this planet, as cosmic travelers, passing through time with the end game of chaos, then why not create a guidebook of our travels. There is so much to love in a compact assortment of travel ephemera. There is so much to enjoy now, here, while we are together on these travels, ordering chaos around, breaking the laws of thermodynamics (even if for a few moments), delivering order and establishing patterns of grace and consistency. What better way to define your life to others than leaving a guidebook of how you got it done? So, go ahead, start that notebook, fill that planner, use the good pen with the good ink. There’s no time like the present. Karine Tovmassian is a Subject Matter Expert and Consultant to Military and Law Enforcement. 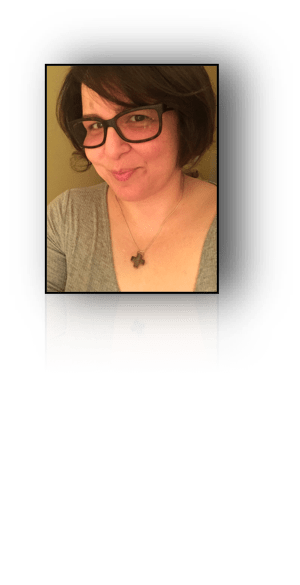 She spends her time hassling Steve Morton during their HitchHiker’s Guide To The Plannerverse podcasts, the first and only planner podcast out there in the Plannerverse. You can find her on Instagram @KarineTovmassian, on Facebook at Plannerology or Throat-Punch Resumes and plannerology.com and ThroatPunchResumes.com respectively. Please send all complaints to Steve Morton and all compliments to Karine Tovmassian. I love you Karine, I love everything you write. You are my kind of girl, with your big thoughts and big words and your capacity to write about your big ideas in a way that hits home, thank you!